Zacciah Blackburn is a gifted intuitive, teacher, and sound healer, trained in classical healing and shamanic traditions, and sacred sound cultures. He has been involved in the field of healing music, sound and shamanic practices for over 35 years. He teaches internationally, and practices in Vermont, USA. His work focuses on therapeutic sound, spiritual development, and indigenous earth mysteries. Zacciah utilizes sound coupled with sacred intention as a therapeutic tool, in mystical settings, for personal healing and transformation, in private therapies and workshop programs, providing illumined expertise in esoteric practices. He conducts tours world wide of sacred sites, utilizing & sharing his skills for Earth healing rituals with participants, incorporating sacred sound. Zacciah began a conscious journey to self awakening in 1969, when voices from the world of Spirit began to offer direct guidance to him in his life course. Through a series of powerful luminous awakening and visionary experiences, he began the search for greater understanding of how to walk this life in balance and in Beauty. He was guided to develop understanding in intuitive healing, in sacred sound cultures, and in the making of musical instruments. Beginning in 1973, he began to focus his work on the making of musical instruments related to sacred sound cultures, such as the bansuri of India, and the shakuhachi of Japan. He developed a business, Sunreed Instruments, in the making & selling of these instruments still thriving today. Through the years, he received various awards of merit for his craft at numerous major Art and Music Festivals and associations across the East Coast. He now incorporates sales of world musical instruments and tools for the sound healing profession, which can be seen at www.sunreed.com. His studies exposed him to the sacred music and sound healing traditions of numerous cultures such as Ravi Shankar, master sitarist, Sachdev and Hari Prasad Chariprusia, master flautists of Indian traditions, Babatunde Olatunji, master drummer of African traditions, Michael Copeland, master flutemaker of European traditions, jazz/new age/classical composer/musicians and intuitive healing artists Paul Winter and David Darling, and Laraaji, new age composer/performer, among others. He became close friends with students, musicians, and instrument makers of other cultures, such as Adimu Kuumba (African traditions) and Stephan Mikes (Indian and Western traditions), eventually recording and producing two audiocassettes with Stephan. In 1985, Zacciah again began to experience intense personal awakenings & visionary experiences, guiding him to focus his work, and use his knowledge and experience in creating studies and a healing practice to share with others. He began utilizing sound as a therapeutic tool, in shamanic style settings, for personal healing and transformation. 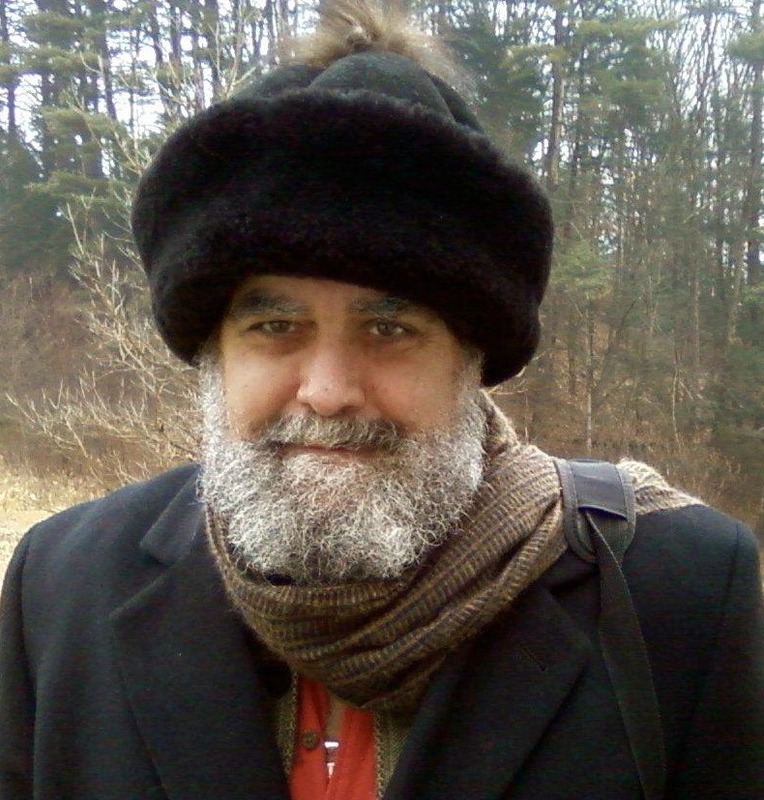 He began studies, group and individual, with Betsy Bizarro, then of Deerfield, MA, a master teacher practitioner in schools of Western and South American mysticism, including principals in ancient Egyptian, Hermetic, Theosophical, and Rosicrucian traditions, and Brazilian and Native American shamanism. He studied with Dr. Molly Scott, psychotherapist, and director of the Creative Resonance Institute, Amherst, and Charlemont, MA, Sarah Benson, founder and director of the Center of Light and Sound in Charlemont, MA, and co-founder of the New England, and the National Sound Healers Associations, and Teri Nash, master teacher of Tibetan and Native American principles, student of, among others, the personal physician of the Dhali Lama. Onyemaechi, founder and director of the Igbote Center and Igbote Ethnic Ensemble, master drummer and teacher of African dance and rhythm; Assistant Professor Hafiz Shabazz, of Dartmouth College, a master drummer and Director of the World Music Percussion Ensemble, an ethnomusicologist, percussionist, performer, and lecturer; world percussionist John Bergamo; Native American drummaker and practitioner of the Barbara Brennan School of Healing, Tom Bickford; and Rosalyn Bruyere, author of Wheels of Light, and mystic, priestess, and founder of the Healing Light Center Church in Glendale, CA. He also received initiations in an ancient system of channeling light energies, known as Omega. Zacciah built a therapeutic practice in sound healing, founding the Center of Light, first in Ashfield, MA, to promulgate the studies of metaphysical traditions, and co-practiced with Hart Brent, now of Peacham, VT, and founder and director of Health Calls, a phytotherapy center practicing an eclectic blend of DarkField Live Blood Cell Analysis, Five Elemental medicine and energetic, homeopathic, herbal and nutritional diagnosis and remedy. Zacciah taught workshops and on going medititational groups in subjects of subtle energy and personal healing and transformation, such as, Balancing Heaven and Earth, the Medicine Wheel, adolescent Rites of Passage, Awakening the Heart, Entering the Elders Circle. While struggling as a single parent of both a gifted honors student as well as a most unique child with severe developmental disabilities, Zacciah shared his gifts as a musician, musical instrument maker, and student of Native traditions with his own children’s schools. The programs were so highly received, the schools administrators encouraged him to develop a series of children’s programs regarding the nature of indigenous instruments, how they evolved into modern musical instruments in use today, and how the circle is returning to indigenous practices of music in contemporary music. 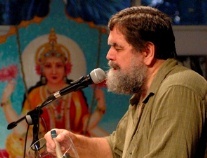 As of this writing, he has performed his World Music educational programs, and Native American Philosophy programs, over 300 times in over 150 schools and institutions for children grades P-12, in colleges, and for adults. Zacciah performed his guided meditational style of sacred music with various musicians and alone, in such settings as ongoing music concert series at the Kripalu Center of Studies in Lenox, MA, with music director Hansaraj Mark Kelso, and other resident musicians, at the graduation ceremonies for the Adult Degree Holistic Studies Program at Vermont College in Montpelier, VT, and the 10th Anniversary of the founding of the Bhuddist Peace Pagoda in Leverett, MA. For six years, Zacciah took a hiatus from practicing sound healing to delve into deeper personal and metaphysical understanding of essential earth energies and our relationship with them, and the nature of transformational healing and spiritual awakening and realization, and, eventually, to develop further programs of study based upon these experiences. He then began to offer numerous programs on the nature of self transformation through the use of esoteric and alchemical practices and exercises, utilizing sacred sound practices, as well, and to create sacred Earth Journeys, entering living relationships with the energies of 'the place,' often using traditional ancestral wisdom of the places we visit. In each type of work, he invokes heightened states of awareness, and energies of the 'subtle realms, through sacred sound streams in his work, which he calls Sacred Sound. In this period, he worked with Barbara Perrins, director of Cultural Immersion Travel, of Richmond, VA, to develop a 10 day transformational journey into the American Southwest, to co-teach with Michael Claypool, an initiate of Hopi traditions, as well as to host studies in collaboration with Barbara Perrins and Dr. Juan Nunez del Prado, noted mystic and initiated priest of the Q’ero (Incan) traditions of central Peru. Juan has since asked Zacciah to disseminate this work, through the teachings of the Q'ero, and initiations of the Hatun Karpaytraditions of the Q'ero. He worked with Barrie Kavasch of the Institute for American Indian Studies in Washington, CT, noted West Coast sound healers Amrita Cottrell and Peggy Black, of the Music Healers Organization, Michelle Herrera Foster, of the New England Sound Healers Research Institute, and others, internationally, to create transformational programs through sound healing, as well as studies of subtle energy and the nature of sound healing, teaching privately and in class sessions. He occasionally hosted other teachers, such as reknowned sound healer Kevin Michael. He continued his own studies in personal transformation through varied esoteric and alchemical practice, such as work with gestalt dream therapist Marc Bregman, pyschosynthesis psycho-therapist Dr. Michael Gigante, Drunvalho Melchizedek, Greg Braden, and master teacher and sound healer Tom Kenyon. Through his work to assist in the growth of the New England Sound Healing Research Institute (NESHRI), Zacciah was invited onto its Boards of Directors, and Trustees. He continues to serve this organization as Director of Education, overseeing the major educational and outreach programs of NESHRI, such as their annual sound healing conferences, and fall gatherings. Since this time, NESHRI has evolved into an international organization of practitioners, researchers, educators and others interested in the field of sound, and is now known as the international Sound Healing Network. Zacciah, also, created the World Sound Healing Organization (see www.worldsoundhealing.org), with co-founder Annie Bond, partnering with World Puja, the World Peace Prayer Society, and other major international organizations, to create online webcasts of highly respected elders and teachers of human consciousness, and simple ceremonies utilizing the powerfully transformative qualities of Sacred Sound with intentional prayer, to bring healing into and for the world, and assist during this time of profound human evolution. During this time, he continued life as a single parent, assisting his daughter through her life studies, at the University of California at Santa Cruz, and working with his developmentally challenged son to create autonomy and fulfillment in his life explorations as a young adult in an independent living program. 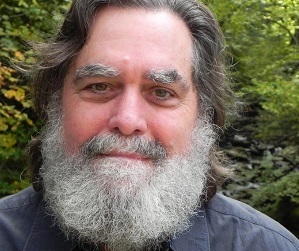 As his programs and expertise expanded, he was invited to numerous venues throughout North, South, Central America, and Europe, including esteemed international conferences on sound healing, shamanism, and human consciousness evolution, in San Francisco, Los Angelos, Santa Fe, New York, Montreal, and elsewhere. He taught at the presitigious Omega Institute, Kripalu Institute, the Sivananda Yoga centers, the International Institute of Integral Human Sciences (IIIHS,) and Spiritual Science Fellowship (SSF,) among others. And, he began guiding tours to sacred sites throughout the world, from 5000 year old stone chambers in his homeland of Vermont, to the rich energies, history, and anceint sites of Egypt, Great Britain, Peru, and elsewhere. Due to exhibited skills and expertise in his field, and fulfilling the requirements for equivalency learning, the International College of Spiritual and Psychic Sciences, Montreal, awarded him a 5th level certificate of completion of studies, in 2009. While Zacciah’s studies have significantly impacted on his life and work, no amount of study can equal the knowledge acquired through one’s own passage into the Knowing of Self. Ultimately, it comes down to this: the healer is the one whom has found the path of self healing, self knowing and realization. Zacciah brings to his work this self passage, which he readily transmits to others, to assist with their own passage. He brings with him a warmth and radiance that exudes through his work. He shares, in deep gratitude, a profound commitment in service to others upon this path of knowing. wholeness, and self realization. We welcome you to experience with us this life transforming work of the journey into the Self.